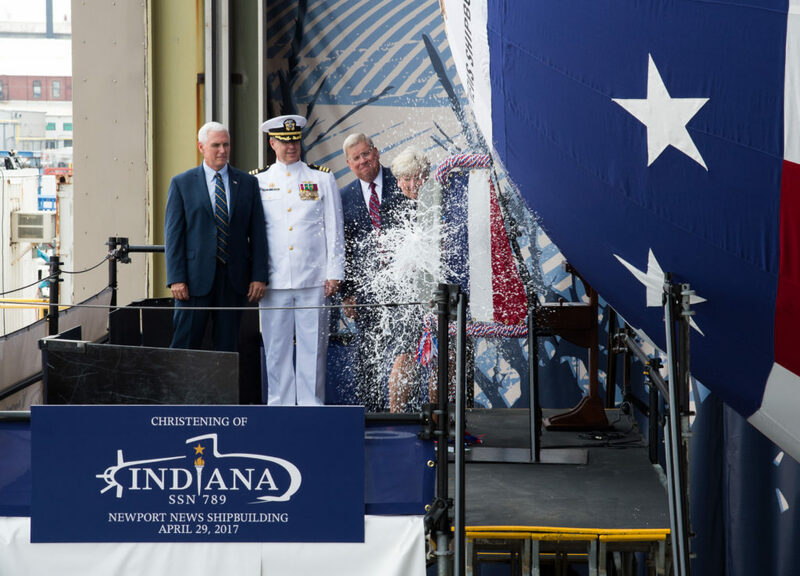 The U.S. Navy with assistance from the submarine’s sponsor Elisabeth Mabus, daughter of the 75th Secretary of the Navy Ray Mabus, commissioned and brought to life the newest Virginia class submarine, USS Washington (SSN-787), during a ceremony on board Naval Station Norfolk, October 7. Washington, named in honor of the 42nd state, is the 14th Virginia-class, fast-attack submarine to join the U.S. Navy’s operational fleet. 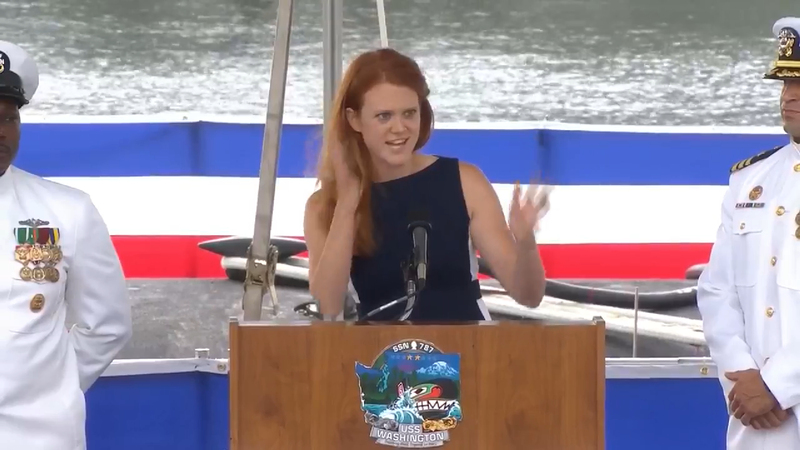 Elisabeth Mabus expressed how proud she was of the crew and their families. «I know, though you are all eager to set out on the Washington, this like all naval service will requires you to be away from your families for long stretches, so thank you to the families», said Mabus. «In a very real sense you are plank owners of this ship as well». Mabus gave the order to «man our ship and bring her to life» before the crew of about 130 men ran across the brow, onto the vessel. Washington is the fourth of eight Block III Virginia-class submarines to be built. 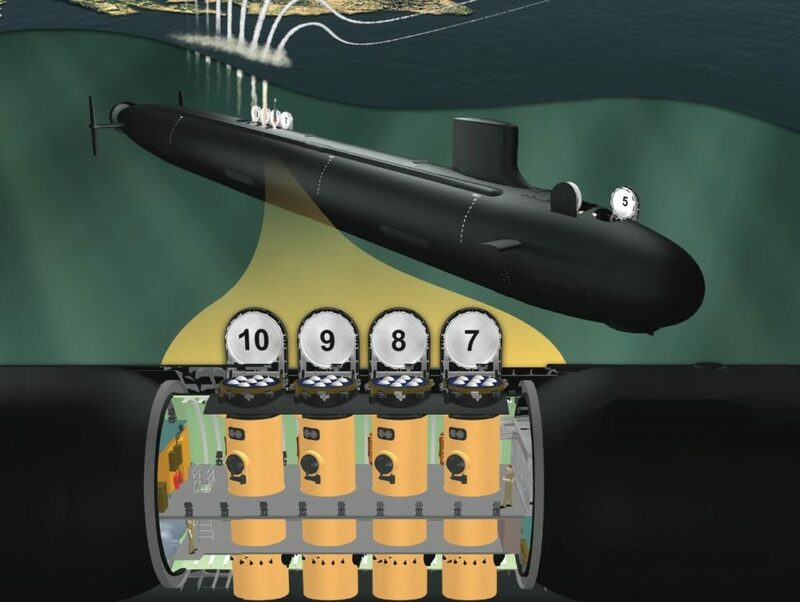 The Block III submarines are built with new Virginia Payload Tubes (VPT) designed to lower costs and increase missile-firing payload possibilities. The first 10 Block I and Block II Virginia class submarines have 12 individual 21-inch/53.34 cm diameter vertical launch tubes able to fire Tomahawk Land Attack Missiles (TLAMS). 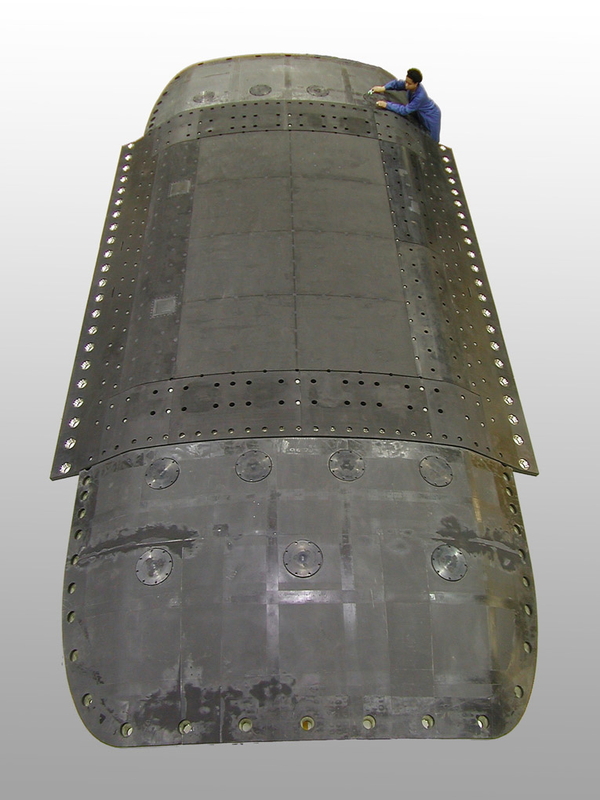 The Block III submarines are built with two-larger 87-inch/2.2 m diameter tubes able to house six TLAMS each. «We won’t know what challenges we will face as a nation in 10, 15 or 20 years, but we know because of the work being done now at Newport News and Electric Boat and by the Sailors who call this ship home, USS Washington will be prepared for whatever is to come», said Mabus. 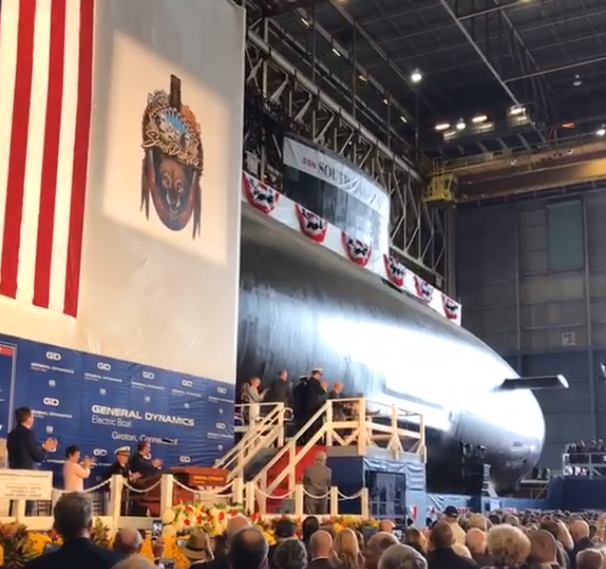 USS Washington (SSN-787) commanding officer, Commander Gabriel Cavazos, highlighted the Washington’s capability to dominate the undersea domain and enable military success in any engagement. «As I have told the crew on many occasions, they are the most important component of the ship. They give the ship its personality and warfighting spirit. Without the crew, Washington would not be the warfighting platform she was built to be; however, combine the two, and, together, we are the Blackfish», said Cavazos. «Today USS Washington is alive and stands ready for mission. Thank you for being here to celebrate this momentous occasion with us», said Cavazos. Washington is the fourth U.S. Navy ship, and first submarine, to be named honoring the State of Washington. The previous three ships were an armored cruiser, (ACR-11), which served from 1905 to 1916, the battleship (BB-47) a Colorado-class battleship launched in 1921 and sunk as a gunnery target in 1924 after her construction was halted, and the battleship (BB-56) credited with sinking more enemy tonnage than any other U.S. Navy battleship during World War II, serving from 1941 to 1947. USS Washington (SSN-787) is a flexible, multi-mission platform designed to carry out the seven core competencies of the submarine force: Anti-Submarine Warfare (ASW); Anti-Surface Warfare (ASuW); delivery of special operations forces; strike warfare; irregular warfare; Intelligence, Surveillance and Reconnaissance (ISR); and mine warfare. Their inherent stealth, endurance, mobility, and firepower directly enable them to support five of the six maritime strategy core capabilities: sea control, power projection, forward presence, maritime security and deterrence. The submarine is 377 feet/114.8 m long, has a 34-foot/10.36 m beam, and will be able to dive to depths greater than 800+ feet/244+ m and operate at speeds in excess of 25 knots/28+ mph/46.3+ km/h submerged. It will operate for over 30 years without ever refueling. 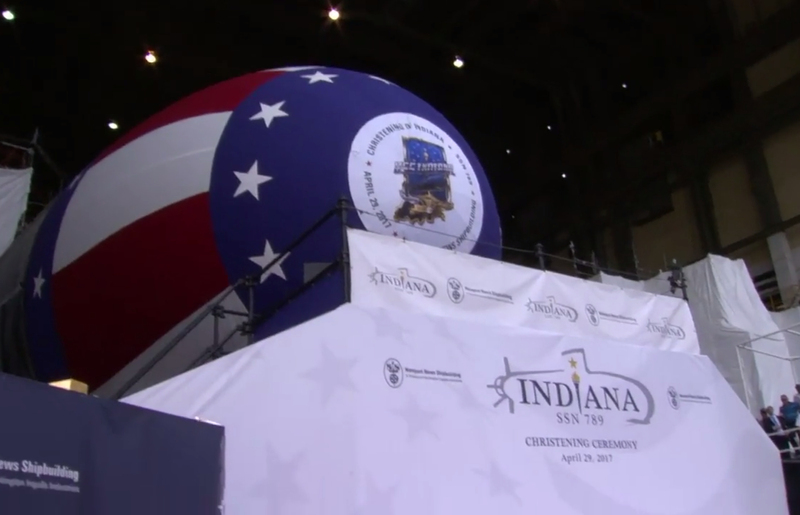 Construction on Washington began September 2011; the submarine’s keel was authenticated during a ceremony on November 22, 2014; and the submarine was christened during a ceremony March 5, 2016. 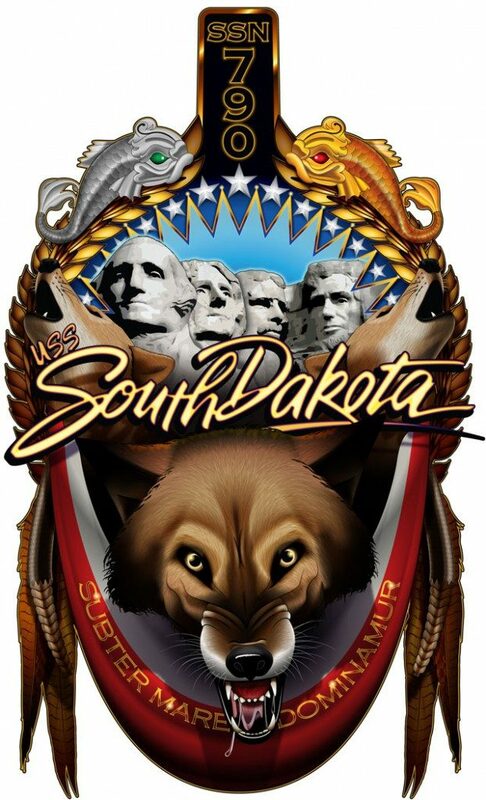 The nation’s newest and most advanced nuclear-powered attack submarine, USS Colorado (SSN-788), returned to the General Dynamics Electric Boat shipyard Monday, August 21, following the successful completion of its first voyage in open seas, called alpha sea trials. 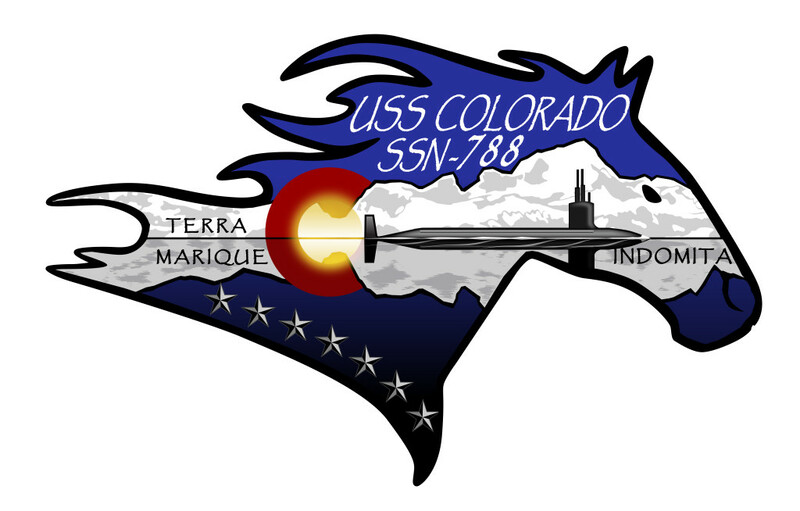 Colorado is the 15th ship of the Virginia Class, the most capable class of attack submarines ever built. Electric Boat is a wholly owned subsidiary of General Dynamics (GD). 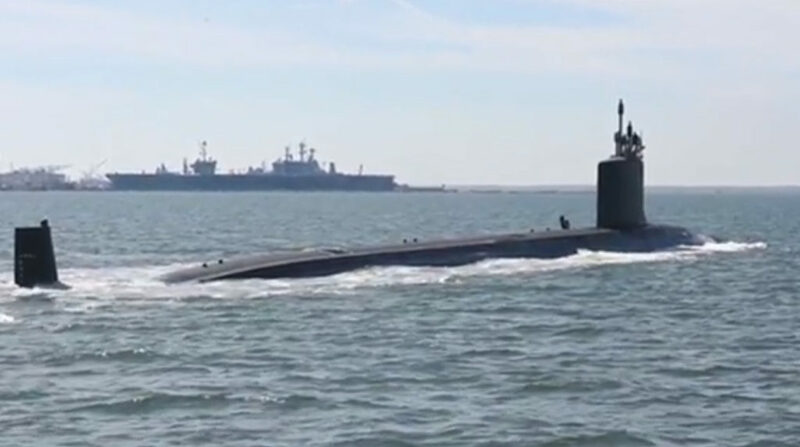 Colorado’s alpha sea trials included a range of submarine and propulsion-plant operations, submerging for the first time, and high-speed runs on and below the surface to demonstrate that the ship’s propulsion plant is fully mission-capable. The sea trials were directed by U.S. Navy Admiral James F. Caldwell Jr., director – Naval Nuclear Propulsion. 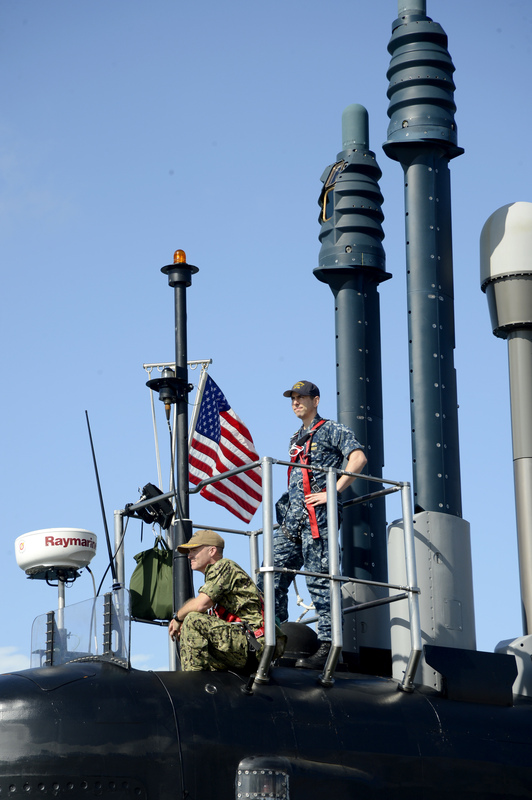 Also participating in the sea trials were Captain Jeffrey Heydon, supervisor of shipbuilding in Groton; and Jeffrey S. Geiger, president of Electric Boat. Colorado is commanded by Commander Ken Franklin. «The crew and shipbuilders worked as one unit to take Colorado to sea and put it through its paces», said Electric Boat President Geiger. 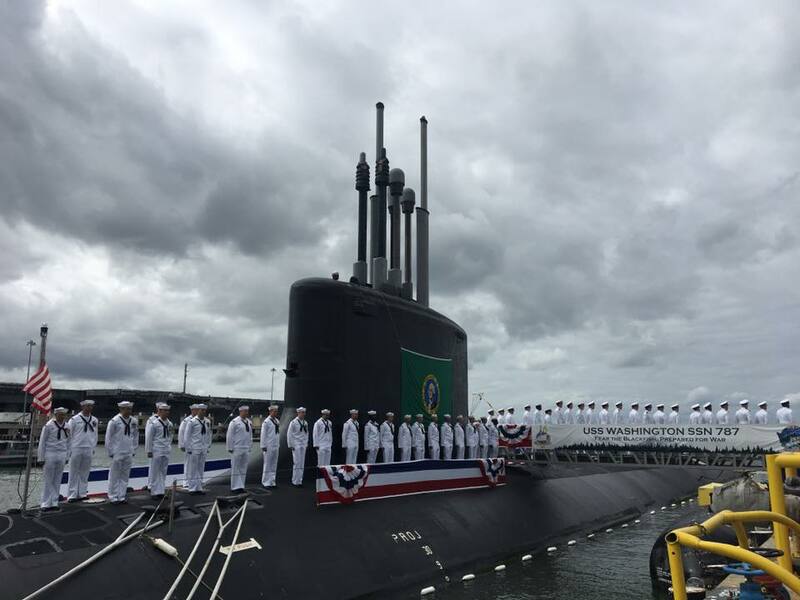 «This required an outstanding effort by everyone involved, and demonstrates the commitment of the U.S. Navy and industry team to sustain the success of the Virginia-class submarine program. 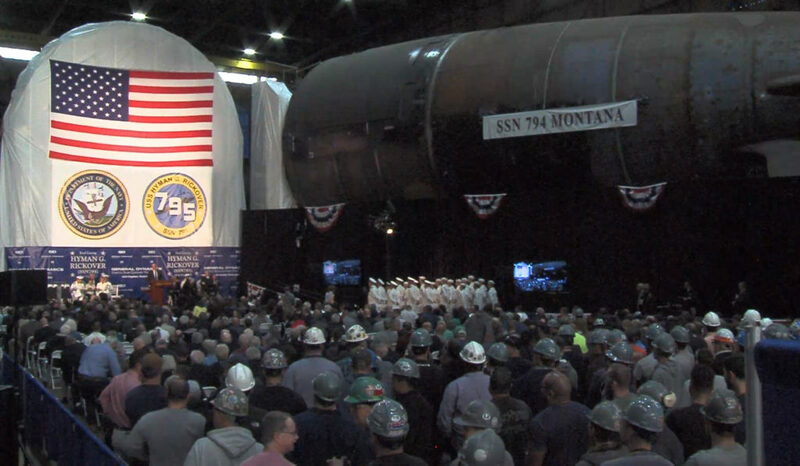 I appreciate the contributions made by the U.S. Navy personnel, shipbuilders and suppliers who made it happen». 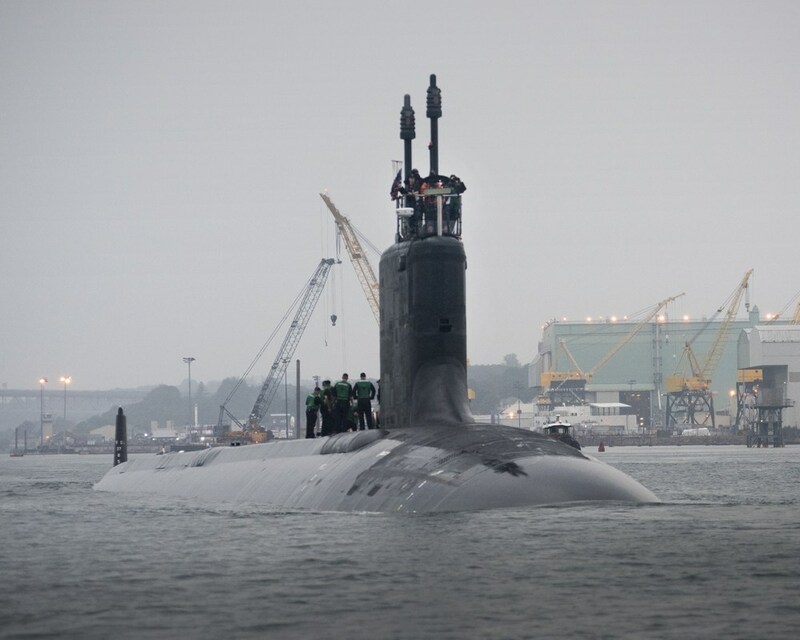 Electric Boat and its construction teammate, Newport News Shipbuilding, already have delivered 14 Virginia-class submarines to the U.S. Navy: USS Virginia (SSN-774), USS Texas (SSN-775), USS Hawaii (SSN-776), USS North Carolina (SSN-777), USS New Hampshire (SSN-778), USS New Mexico (SSN-779), USS Missouri (SSN-780), USS California (SSN-781), USS Mississippi (SSN-782), USS Minnesota (SSN-783), USS North Dakota (SSN-784), USS John Warner (SSN-785), USS Illinois (SSN-786) and Washington (SSN-787). 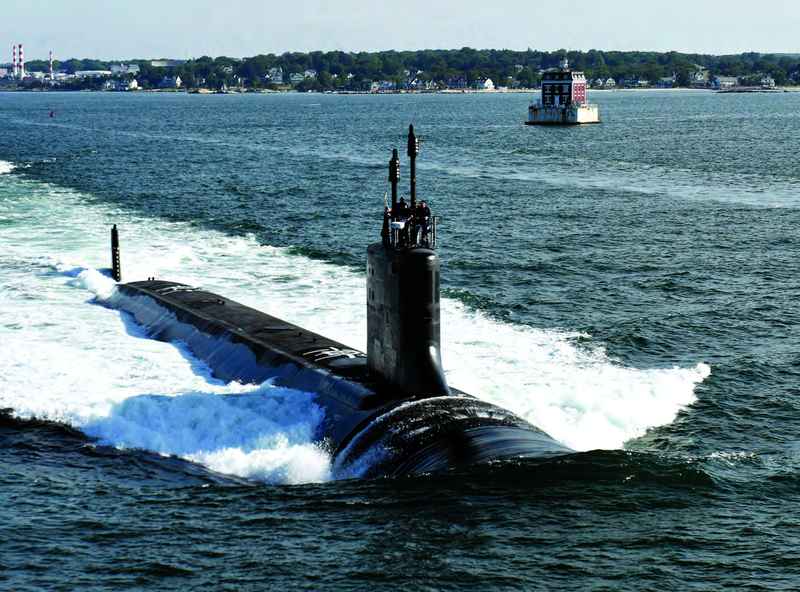 Fourteen more submarines of the class are under contract. 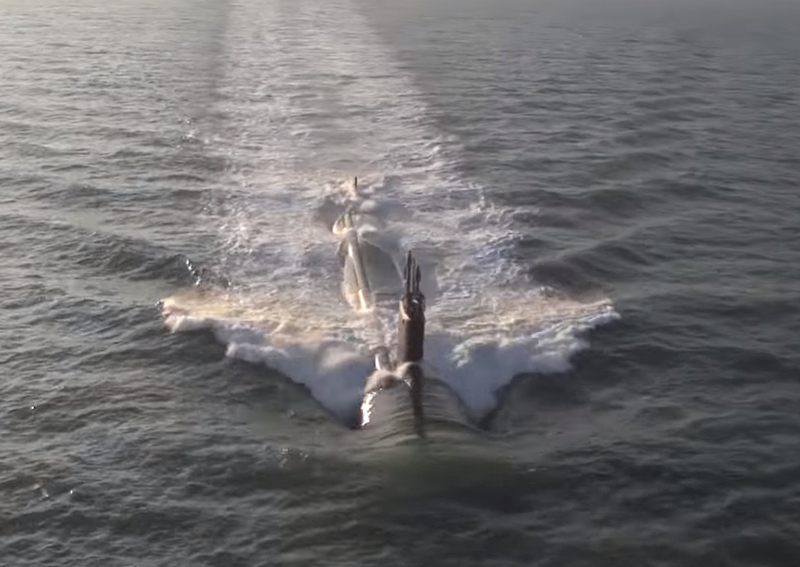 Virginia-class submarines displace 7,835 long tons/7,961 metric tons submerged, with a hull length of 377 feet/114.9 m and a diameter of 34 feet/10.4 m. They are capable of speeds in excess of 25+ knots/29+ mph/46+ km/h and can dive to a depth greater than 800+ feet/244+ m, while carrying Mark 48 advanced capability torpedoes and Tomahawk land-attack missiles. 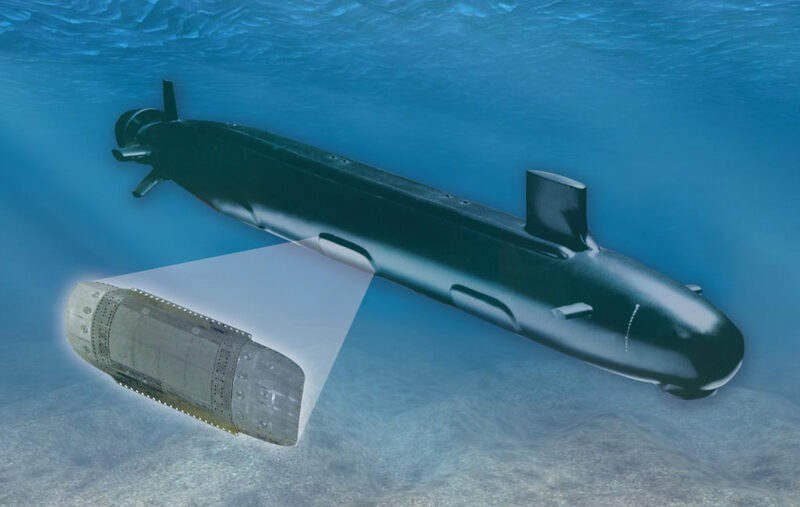 LWWAA is the only available fiber-optic passive hull mounted sensor array in the market and is critical to the operation of the U.S. Navy’s VCS fleet. The technology is central to the development of future generations of undersea sensors. There are six arrays in each shipset. «LWWAA gives the Navy a distinctive edge over sensors being used by any other naval force», said Alan Lytle, vice president, undersea systems, Northrop Grumman Mission Systems. 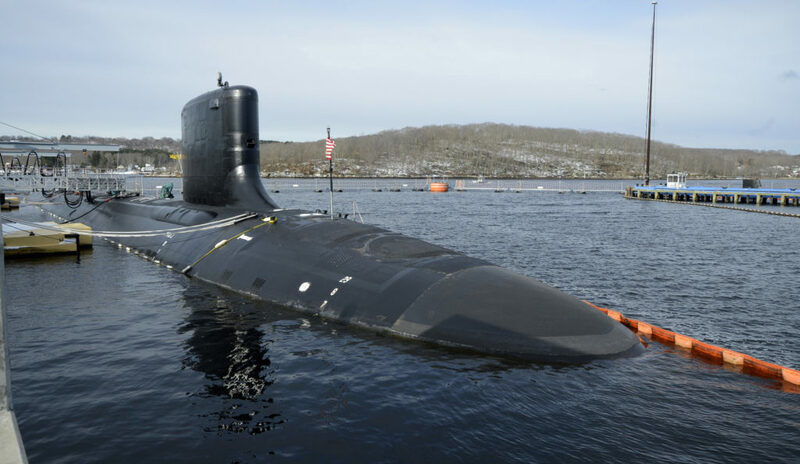 «The early delivery of this first Block IV LWWAA shipset continues a tradition of 114 consecutive early array deliveries by Northrop Grumman Undersea Systems in support of the Virginia Class Submarine program». 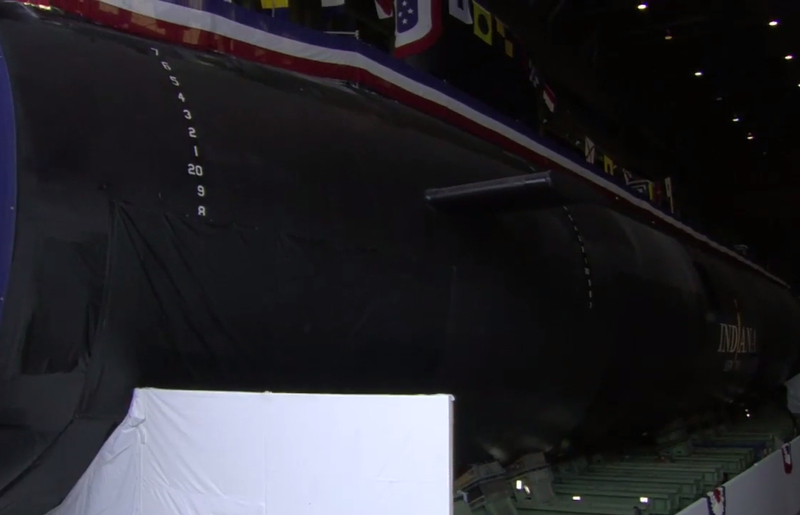 Northrop Grumman has been delivering LWWAA panels for all VCSs, starting with the USS Virginia, SSN-774. The start of the first Block IV shipments represents the beginning of a series of 10 shipments that will be delivered at a rate of two per year to Huntington Ingalls Industries. Northrop Grumman will provide the acoustic array assemblies as well as all the hardware required to install the arrays on the exterior of the ships. 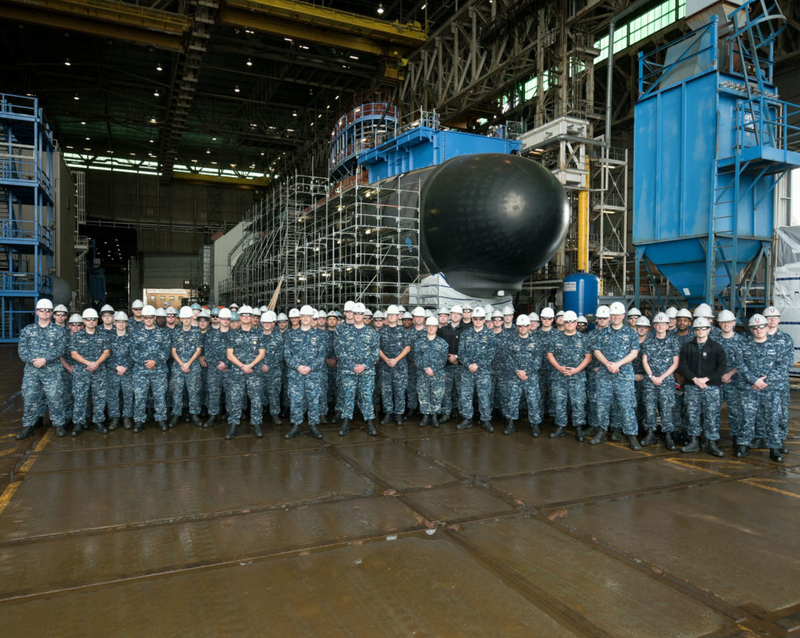 The Navy’s newest submarine was delivered to the U.S. Navy with nearly 100 percent on board material August 26, thanks to the collaboration between the ship’s supply department and Naval Supply Systems Command (NAVSUP) Fleet Logistics Center (FLC) Norfolk, Groton Division. According to Assistant Division Director Lieutenant Joseph Aiello, USS Illinois (SSN-786) was delivered ahead of schedule with 99.51 percent on board material – well above the contractual requirement of 97 percent. Behind the scenes, a small cadre of logistic specialists quietly executed the functions of outfitting and stowing the Navy’s newest submarine. The team tracked and monitored the delivery of more than 10,000 items to include all Authorized Medical Allowance List (AMAL), Authorized Dental Allowance List (ADAL), General Use Consumables List (GUCL), and Government Furnished Equipment (GFE) to the submarine. «Beyond the hull of Illinois, the most valuable asset – the crew – was provided with dedicated support facilities to ensure training, administration and day-to-day operations of the command continued unencumbered by the construction», said Aiello. 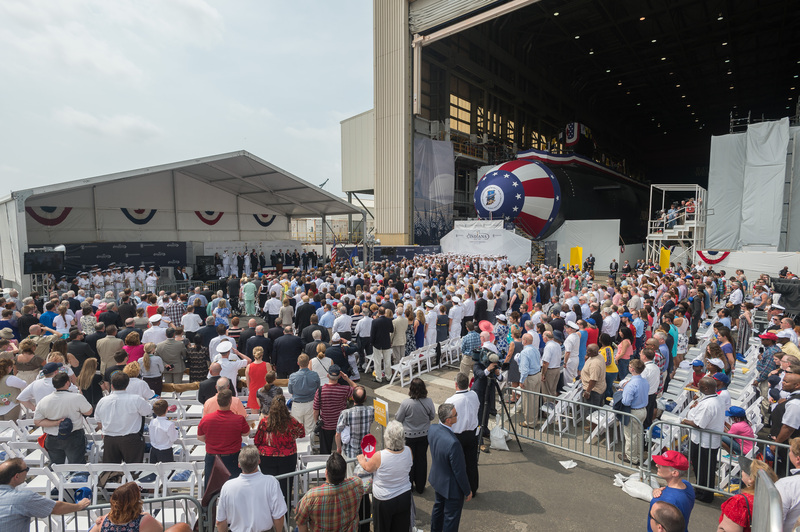 «The single aspect that, to me, is most inspiring about the organization is the sheer dedication to the Sailors on the waterfront and the true collaborative nature that is fostered across the spectrum of organizations at the shipyard», said Aiello. «While a good segment of the team have prior military experience, those who do not have demonstrated the same commitment to excellence and truly understand the need for flawless customer support», he added. 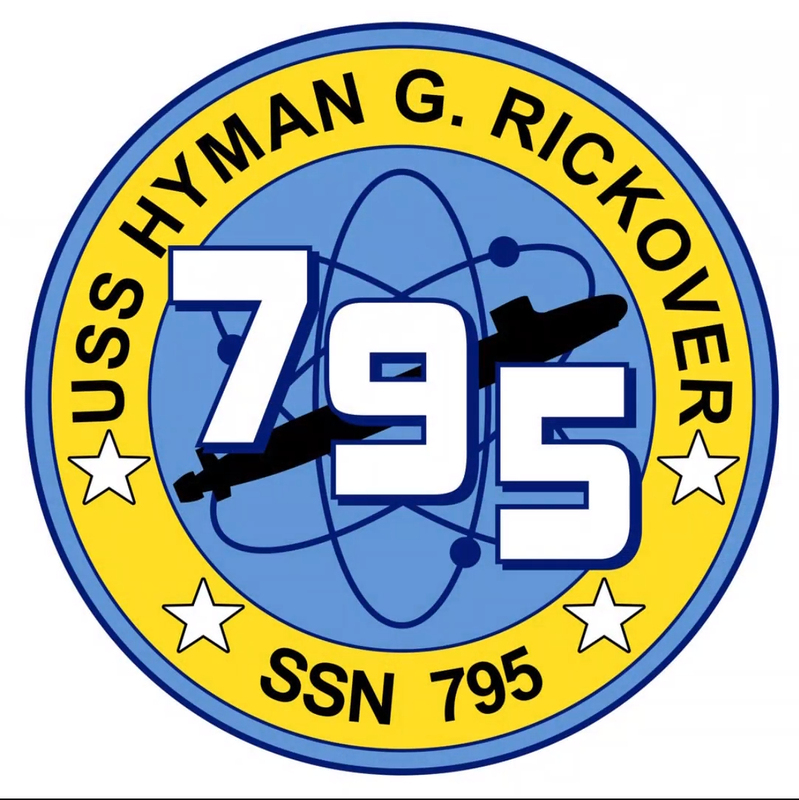 USS Illinois (SSN-786), which is the 13th submarine in the Virginia class, is scheduled to be commissioned October 29.